Remember Anodyne, the nice looking old-school RPG? I covered the demo release back in September 2012 which seems like forever ago, and now that the full game is almost ready for release, they’ve started taking pre-orders (with a 30% discount) for both the game itself and the soundtrack. Anodyne puts you in the shoes of Young and your mission is to protect a legendary item called The Briar from the evil entity known as The Darkness (oh boy!). Based on the demo, you’ll experience plenty of action by way of enemies to slay and more than a few puzzles which are bound to hinder your progress, before this adventure is over. So the question is: are you up for the challenge of what’ll hopefully be a genuinely solid RPG experience, or would you rather play another dull Call of Duty clone on your fancy Playstation 3? It’ll cost $10 at launch, but pre-ordering it from their website will drop the price to $7. What, the soundtrack? Ah yes, that’ll set you back $3 from Bandcamp. When? 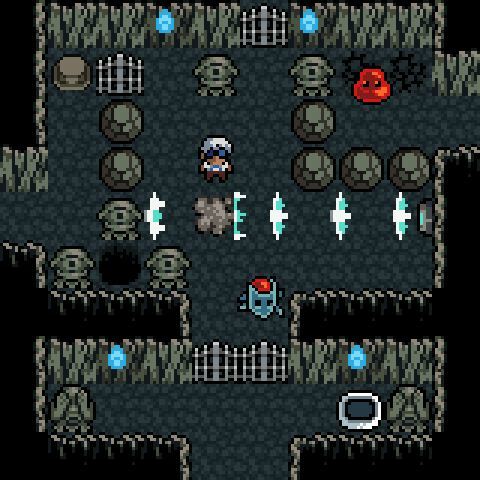 Anodyne is heading for a mid-late January 2013 launch on PC, Mac, Linux and even Android! I’d recommend trying the demo to find out if it’s something you’d enjoy. I certainly did! Oh and don’t forget about Greenlight.